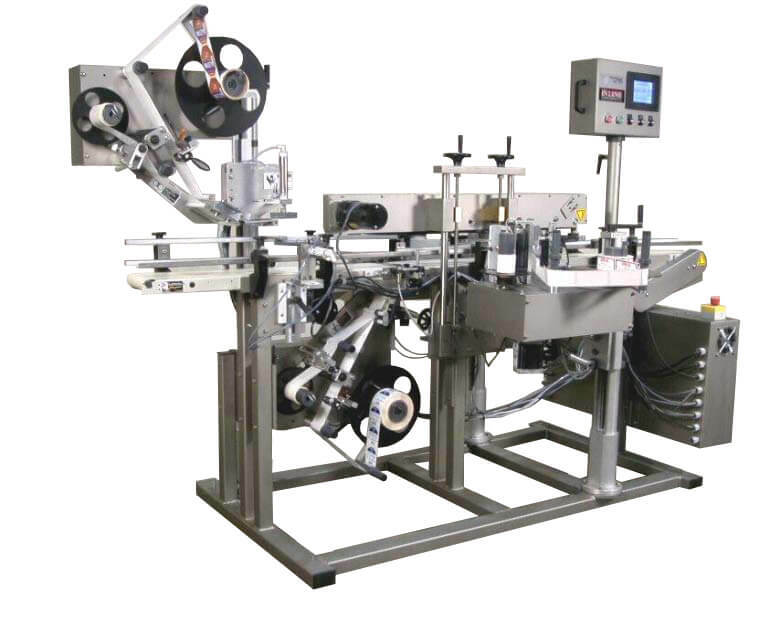 RSC Rinser | InLine Packaging Systems, Inc. The RSC Rinser is an economical and easy way to rinse or air clean bottles prior to filling. The Rinser is situated before the Filler and is intended to run automatically, feeding the Filler a supply of clean bottles. 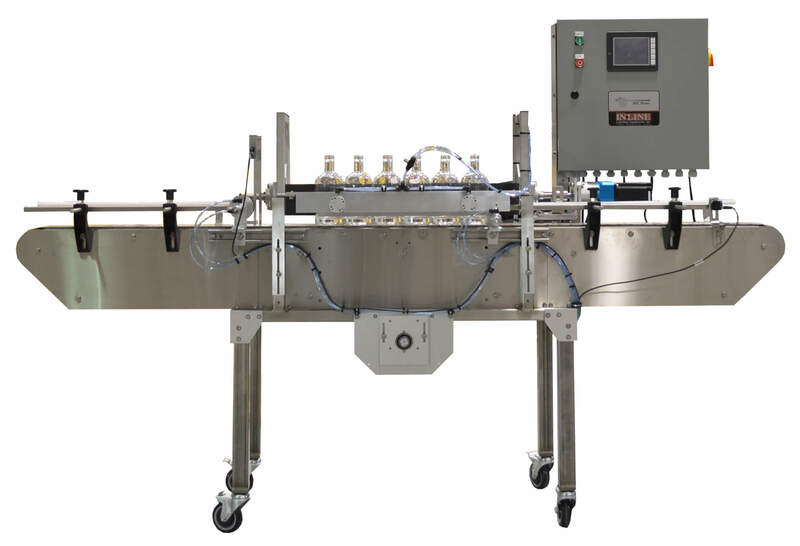 The machine operates by counting infeed containers, and when a full group is present the bottles are clamped and then inverted over a collection tray. A pump (or straight factory water connection) then shoots water up onto the base of the bottle. An adjustable time delay allows for you to fine-tune how long you rinse and how long you drain the bottles. Alternately, a sanitizing solution – or even product itself – can be used to rinse and recirculate into a simple 5-gallon bucket. Once the rinse cycle is complete the bottles are then released and discharged. A backup eye is standard to prevent the rinser from releasing bottles until the conveyor is open and ready, so it will run at the speed of the filler. Various sizes can be handled from a single manifold, and dedicated manifolds are inexpensive and allow for quick changeovers between packages. At In-Line, we develop systems to provide efficiency and accuracy at every stage of bottling and packaging. Our RSC Rinser is no different. Combine the seamless operation of our Rinser with our other machines to complete your bottling system. You’ll find you are packing your bottles and sending them off with better quality and in less time than ever before. Since 1994, we have been assembling machines. Since then, we have designed and patented machines that run on efficiency and accuracy. We know the industry and we know the biggest challenges of the industry. That’s why we’ve spent the last 20 years developing solutions for beverage companies that save time and money. We also back up our products with a one-year warranty. And we provide support after the sale. When you choose In-Line, you partner with us for the long-term. We are here to troubleshoot and provide solutions for your bottling needs, long after the purchase is complete. We are passionate problem solvers. We enjoy taking on efficiency and process issues and creating systems that run seamlessly. Our labeling, filling, bottling, and packaging solutions will meet your needs. Give us a call today and we will get you set up with a custom solution for your business!